The following materials are available for order. 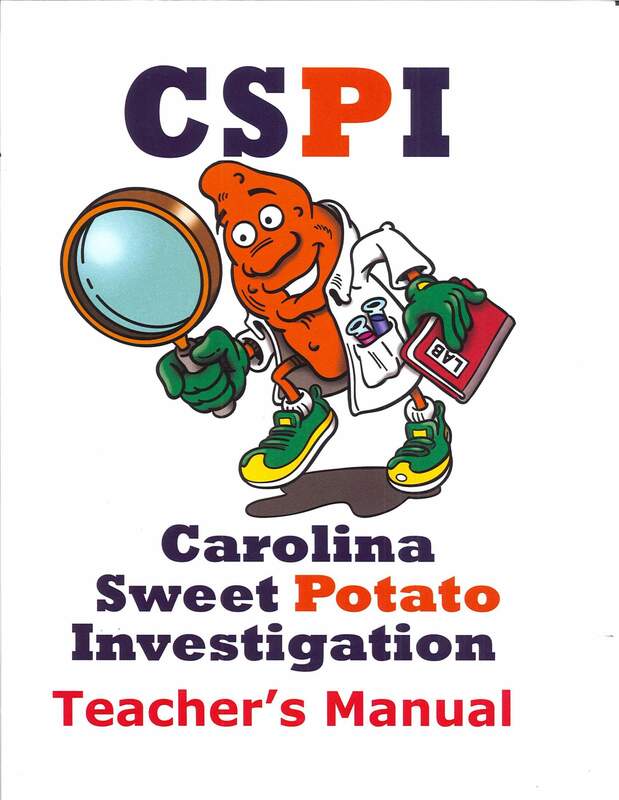 Click on the blue links for examples and please email communications@ncsweetpotatoes.com with any requests. This year-long study guide for students in grades 3-6 centers on the activity of scientific investigation. The character, “Chief Inspector Spencer Sweet Potato” takes on the persona of a detective and leads the student in documenting the discovered facts. The lessons included were designed to align with Social Studies and Science goals for 4th graders in North Carolina, however, the concepts and skills addressed are among those included in elementary curricula nationally. Educators are encouraged to review the lessons and their desired learning outcomes and utilize them as appropriate with their students.